Home » First American Eel for Goldenfishberg! First American Eel for Goldenfishberg! 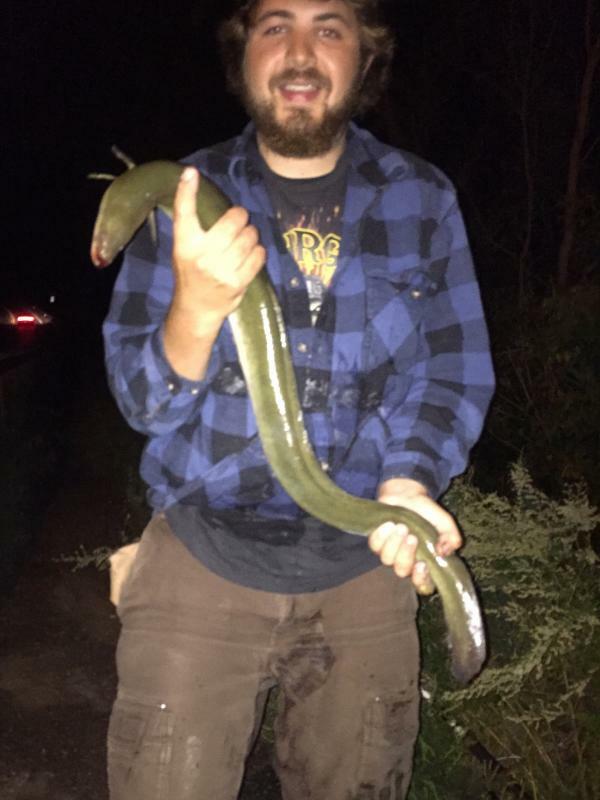 American Eels are kind of like sasquatches - well known but rarely seen in most parts of the Midwest. Also, photos are generally blurry because of the excitement involved! Goldenfishberg wrangled this awesome eel more than a thousand miles from the ocean, way up on the St. Croix river in Minnesota. What an amazing catch! See more HERE.